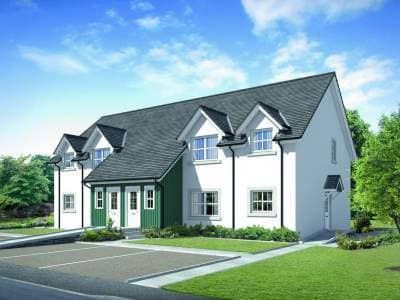 The two bedroom apartments will complete Stephen Country Homes’ ‘Lagreach’ development, following the success of similar properties at Balgarvie Mill in Scone, by Perth. With a choice of ground or upper floor apartments, these homes enjoy a spectacular setting under the dramatic skyline of Ben Vrackie with the River Tummel and Loch Faskally at its base. The Lagreach housing development has been designed to complement this setting, only 500 yards from the centre of town yet sitting within its own mature woodland setting adjacent to Loch Faskally. Priced at £175,750, the apartments are also eligible for the ‘Help to Buy (Scotland)’ initiative which allows people to put down a deposit of as little as 5% of the selling price, combined with a mortgage of up to 80% of the value of the property. The homes should be ready for occupation towards the end of this year.